Available Heights: 80mm, 176mm and 185mm. Facia Panel System for internal Drawers. Sleek Straight Line Design & Sturdy. Load Capacity 65kgs for 500mm & 550 mm and 30 kgs for 450mm and 400mm. 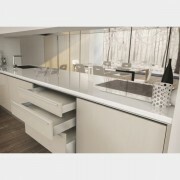 Options for Glass and Side Panel Options of Drawer Partition System. 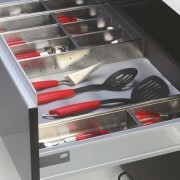 ..
Organize drawers as desired with flexible drawer partitions. Available in Do It Yourself (DIY) kit & fun to assemble. 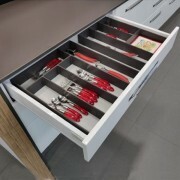 It can be easily positioned on the side or in the middle of drawer with any combination of your choice Ideal for storing multiple items such as spoons, knifes etc. 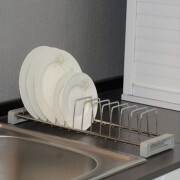 (For ..
Portable kitchen plate rack. Easy to keep in drawers, cabinets & on the platform as per you convenience. Made of SS304 grade natural electro polished finish (not chrome plated). Conveniently designed with handle grip for easy carrying. PVC coating to protect thalis from scratches. R..
Portable kitchen thali rack. Easy to keep in drawers, cabinets & on the platform as per you convenience. Made of SS304 grade natural electro polished finish (not chrome plated). Conveniently designed with handle grip for easy carrying. PVC coating to protect thalis from scratches. 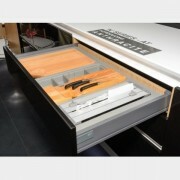 R..
New Pro – Motion Drawer System - S2 Series now available in 120mm height. 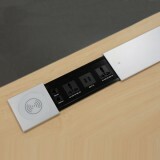 Suitable for all types of applications including kitchens, wardrobe, living rooms and office furniture. Depth available: 450, 500 & 550mm. 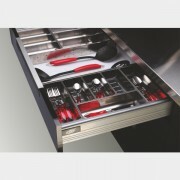 Drawer width can be designed freely with automatic error adjustment. Ful.. Available Heights:80mm, 176mm and 185mm. Facia Panel System for internal Drawers. Sleek Straight Line Design & Sturdy. Load Capacity:65kgs for 500mm and 550 mm and 30 kgs for 450mm and 400 mm. Options for Glass and side panel with full kit. Options of Drawer Partition System. .. Available Heights:80mm, 176mm and 185mm. Facia Panel System for internal Drawers. Sleek Straight Line Design & Sturdy. Load Capacity:65kgs for 500mm & 550 mm and 30 kgs for 450mm and 400 mm Options for Glass and side panel with full kit. Options of Drawer Partition System. .. 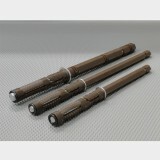 Available Heights:80mm, 176mm and 185mm. Facia Panel System for internal Drawers. Sleek Straight Line Design & Sturdy. Load Capacity:65kgs for 500mm & 550 mm and 30 kgs for 450mm and 400 mm. Options for Glass and side panel. Options of Drawer Partition System. .. Length : 450, 500 & 550mm. The drawer side-board is 88mm high. 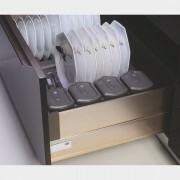 Drawer width can be designed freely with automatic error adjustment. 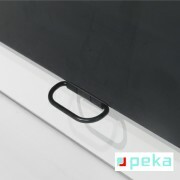 Hidden full pullout silencing sliding skid can bear 30kgs. and enjoys excellent stability and quite and smooth sliding performance. Quick installation an.. Length : 450, 500 & 550mm. The drawer side-board is 171mm high. 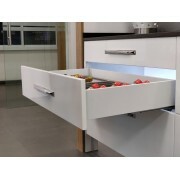 Drawer width can be designed freely with automatic error adjustment. Hidden full pullout silencing sliding skid can bear 30kgs. and enjoys excellent stability and quite and smooth sliding performance. Quick installation a.. Manufactured out of Stainless steel with plastic end covers. 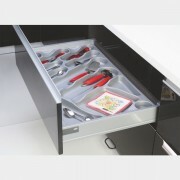 Elegantly designed for space saving and long life Various arrangements are possible in a drawer. Available in three sizes. 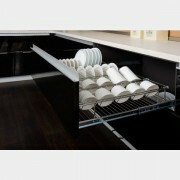 ..
Elegantly designed to suit today's modern kitchen. Available in 5 different sizes and configurations to fit any drawer Manufactured out of non-toxic, food grade polypropylene and are easy to clean. 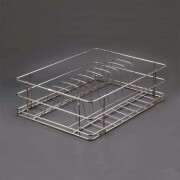 ..
Organize drawers as desired with flexible single/ double wing trays. 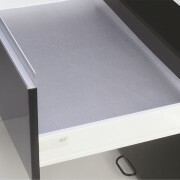 These flexible trays can be easily positioned on the side or in the middle of drawer with any combination of your choice. These wing trays can be equipped with knife block & cutting board, thereby providing add.. Manufactured out of stainless steel with plastic end covers. Elegantly designed for space saving and long life. Various arrangements are possible as per convenience. Can be washed easily. Available in three sizes. 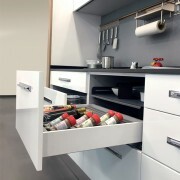 ..
​KDMS offers innumerable options and flexibility to the Kitchen Designer as well as the end user to organize each drawer in a kitchen to its best use in terms of storage and utility. 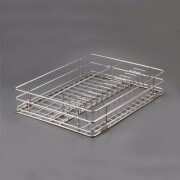 The system consists of Drawer Trays that are made of Polypropylene for different standard cabinet widths of..
Well designed dish holder for stacking plates of different diameter. 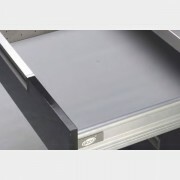 Ideal for drawer mount,on the platform or in the overhead unit. 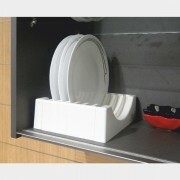 The capacity can be increased by adding as many numbers of dish holders as required and close by covering with end caps. .. Ideal for sorting fruits and vegetables in oragnized manner. Reinforced with SS304 rods, these baskets are made of plastic wires that are stable and suitable for all seasons. 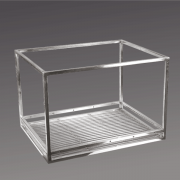 These baskets are elegantly designed for 450mm and 600mm cabinets. System 32 campatible. Available in six sizes. 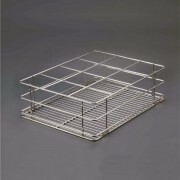 ..
For storing all kinds of kitchen articles conveniently. Manufactured out of stainless steel 304 grade and electro polished. 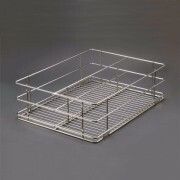 Designed to be used with 'Ebco' Sleek Telescopic Drawer Slides and Heavy Duty Telescopic drawer slides by direct assembly onto mounting plates provided on all baskets. .. 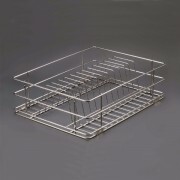 These plain Right Angle Baskets are available with various clip-on inserts for Plate, Thali, Cup, Saucer etc. Extreme flexibility for the customer to make a combination of his own. It can be changed easily according to the users requirement. 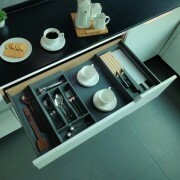 Space Saving solution as the inserts can ..
For storing cups & saucers conveniently. Manufactured out of stainless steel 304 grade and electro polished. 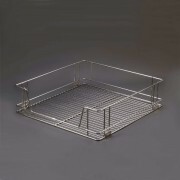 Designed to be used with ''Ebco' Sleek telescopic drawer slides and Heavy duty telescopic drawer slides by direct assembly onto mounting plates provided on all baskets. ..
For storing plates conveniently. Manufactured out of stainless steel 304 grade and electro polished. Designed to be used with 'Ebco' Sleek Telescopic Drawer Slides and Heavy duty telescopic drawer slides by direct assembly onto mounting plates provided on all baskets. 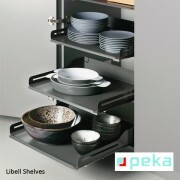 ..
For storing all kinds of kitchen articles conveniently. Manufactured out of stainless steel 304 grade and electro polished. Designed to be used with 'Ebco’ Sleek telescopic drawer Slides and Heavy Duty telescopic drawer slides by direct assembly onto mounting plates provided on..
For storing thalis conveniently. Manufactured out of stainless steel 304 grade and electro polished. Designed to be used with 'Ebco' Sleek Telescopic Drawer Slides and Heady DutyTelescopic Drawer Slides by direct assembly onto mounting plates provided on all baskets. ..
For storing bottles conveniently. Manufactured out of stainless steel 304 grade and electro polished. 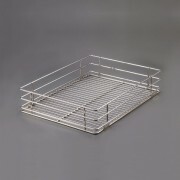 Designed to be used with 'Ebco' Sleek Telescopic Drawer Slides and Heavy Duty Telescopic Drawer Slides by direct assembly onto mounting plates provided on all baskets. 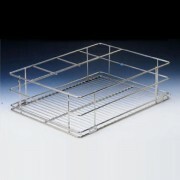 ..
For storing all kinds of kitchen articles & bottles conveniently. Manufactured out of SS 304 grade & are electro polished. 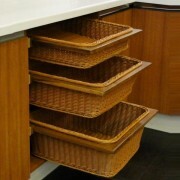 These elegantly designed baskets have width of 380 , 430 , 480. 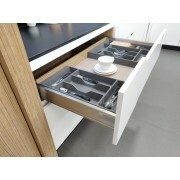 Designed to be used with ‘ebco’ Sleek Telescopic Drawer Slides. 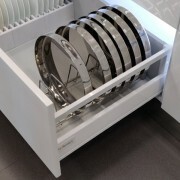 ..
For storing cutlery conveniently. Manufactured out of stainless steel 304 grade and electro polished. 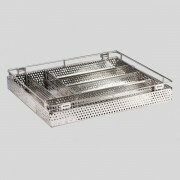 Designed to be used with 'Ebco' Sleek Telescopic Drawer Slides and Heavy Duty Telescopic Drawer Slides by direct assembly onto mounting plates provided on all baskets. ..
For storing utensils conveniently. Manufactured out of stainless steel 304 grade and electro polished. 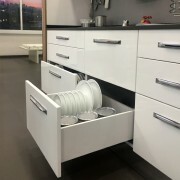 These elegantly designed baskets have widths of 500mm, 600mm, 700mm and 800mm Designed to be used with 'Ebco' Heavy duty telescopic drawer slides by direct assembly onto mounting pla..
To store complete dinner set comprising of plates, serving bowl, etc. conveniently. Manufactured out of SS 304 & electro polished. 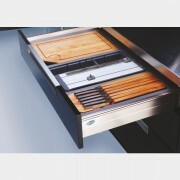 Designed to be used with ‘ebco’ Heavy Duty Telescopic Drawer Slides, Sleek Telescopic Drawer Slides & Premium Quadrail Slides. ..
For storing grain, oil and larger tins or cans up to 50kgs. Manufactured out of stainless steel 304 grade and electro polished. 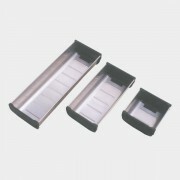 Designed to be used with 'ebco' heavy duty telescopic drawer slides with direct nut bolt assembly. 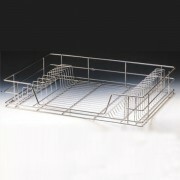 ..
For converting plain baskets to a partition basket with adjustability as per customer’s choice. Manufactured out of stainless steel 304 grade and electro polished. 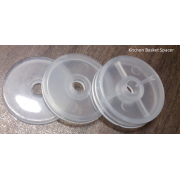 Designed to be used with 'ebco' plain baskets. .. Ideal for kitchen drawers, cabinet/ wardrobe shelves, working table, etc. Dotted and lined upper surface for better hold and superior anti-skid coating at the bottom. 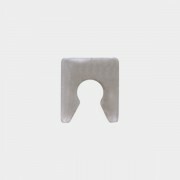 For use in kitchen drawers and shelves - protects furniture from water dripping and the anti-skid feature keeps the cutlery an.. Manufactured out of Polypropylene. Shims help reduce side gaps between cabinets & slides .. Manufactured out of polypropylene. To be used as a spacer with 'ebco' Kitchen Baskets. 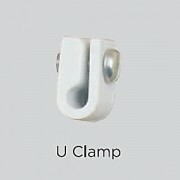 Available in three different sizes ..
U-clamps are manufactured out of Nylon and can be used with all Ebco sleek Telescopic Drawer Slides. 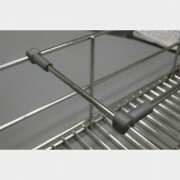 Basket clamp manufactures out of SS 304 are available in a choice of three lengths covering all Ebco kitchen baskets. ..
Salice LineaBox, a perfect combination of elegance, flexibility and personalization. LineaBox is the innovative metal drawer system of the future, characterized by clean and simple lines and streamlined aesthetics. It’s elegant finish and style helps Lineabox to embellish furniture. S..